Ed E. Ruger has been showcasing his energetic and vivid rhyming talents with an unmatched grind and work ethic.Along with managing,promoting,booking & bankrolling all his own projects,he's organized some of the Carolinas' biggest shows,including The Dirty Douth Beatdown beat battles,Super Cypher MC battles,his annual birthday bashes & Cd release parties. Starting out as a battle rapper his in your face freestyles blended in with his crowd hyping ability took over the North Carolina underground by storm. With his never ending hunger for his music the storm has yet to be silenced, in fact it just gets bigger. 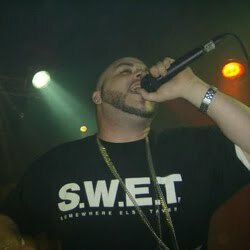 Ruger claimed the top spot at the 2002 Rhyme Warz as their champion and with that he knew he was born to be on stage with a microphone in his hand. Averaging two live performances each week, Ruger is a definite crowd pleaser, which has earned him vast recognition as a Carolina household name. His freshman album, “Shots From The Ruger” (Suga Hill Entertainment) received immediate acclaim with his single “Old Man” in which Ruger reflects on his life and the struggles he has had to face. The album boasts main production by the only undefeated “Reign Supreme beat battle” super producer, Double J The Jenius (Iconoclast, Boondocks Cartoon, Adult Swim) These groundbreaking beats compliment Ruger’s vivid flow with perfection. Since the release of “Shots From The Ruger” Ed E Ruger has opened up for the biggest names in hip hop, from underground kings, to founding fathers of the game. Sharing the stage with the likes of KRS-One, Public Enemy, The Wu Tang Clan, The Clipse,Young Buck,The Dayton family,Esham, Project Pat, The Ying Yang Twinz,Mac Lethal(Rhyme Sayers),Cassidy,Coolio,Black Sheep,Project Born and the rap/rock group Rehab just to name a few. 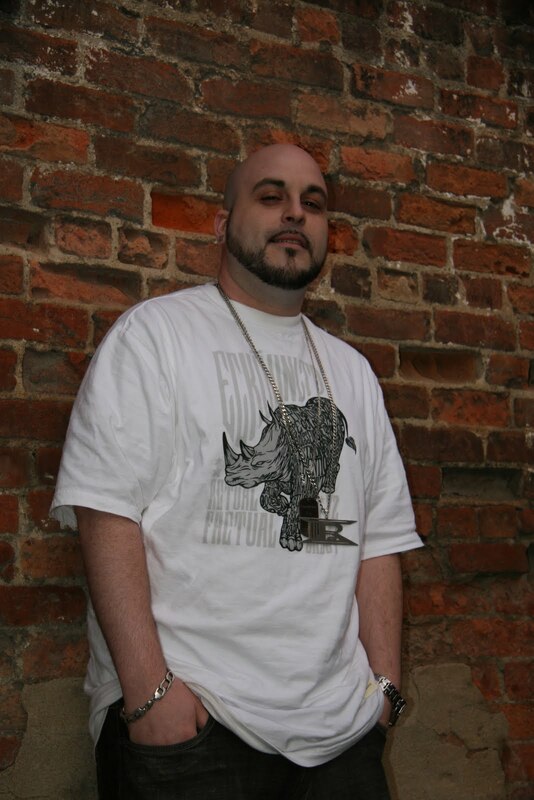 Ed E. Ruger has also recorded tracks with Stat Quo, Bun B of UGK, Haystack, Krumbsnatcha(Gangstarr Foundation), Bekay( Rawkus), Pistol (Ruthless Records) and some of North Carolina's finest emcees, the late Trey Stylez,The Iconoclast Crew, Meta4 The Great,Ty Bru,Chaundon,Kaze,Ricky Ruckus,Celinski and Sean Boog just to name a few. As the latest reward for all the work Ed E. Ruger has put in,he was named The Triad's Best Hip Hop Act of 2009 by the readers of Yes! Weekly & nominated for the 2009 Grind Hard Award at theNorth Carolina Underground Music Awards.So,as you can see,this is only the beginning of a long & prosperous career for Ed E. Ruger who many have labeled "The New Breed Of Hip Hop"
Be on the lookout for Ed E. Ruger's newest release "Lights Out" OUT NOW! "Do It For The Rush (Chillaxin)"
Ed E. Ruger "Lights Out"